From instant communication, to anytime, anywhere access to rosters and game schedules, to carpooling and so much more at the touch of a button – here’s the best digital tool for helping parents engage effectually in their child’s youth sports program. Imagine. You didn’t know the game venue changed last night. You reach the venue and realize you were responsible for coolants, go back to get them. You volunteer for carpooling but coordinating takes forever. Or worse, you forget a practice game! These scenarios are not make-believe, every sports parent has been there, done that. These things happen all the time. And yes, they can be so daunting. But no more. 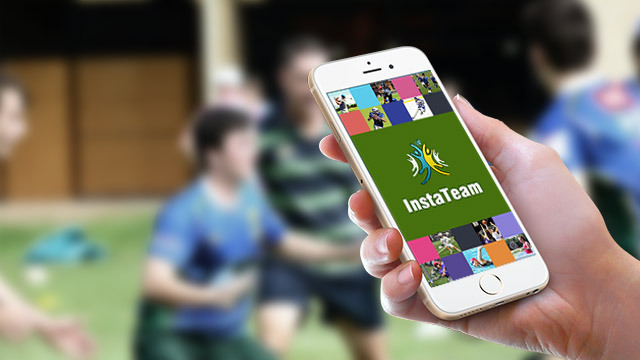 InstaTeam’s mobile app takes care of all coordination and communication amongst managers, coaches, team and parents. It helps coaches with scheduling and rostering, helps parents with instant access to all important team information like game schedules and rosters, sends reminders, helps parents organizing carpool, volunteering, score keeping, instant messaging, sharing pictures etc. without any hassles. InstaTeam is more than just a communication app or a digital notice board. Say for instance, for the coach creates an event for a practice match. All specifics of the event will show up in event detail like the day, date, venue etc. Suppose you want to volunteer refreshments, you can update that information in ‘I’m bringing’ section. You can also see how many people are attending the event, who all are not attending and you can mark your attendance status there. Sign-up items will show any requirement from the coach’s or administrator’s side. If you wish to contribute, go to ‘signup items’ and tap on the items you wish to bring. All this can be managed easily without bothering people with countless messages, discussions and confusions. To organize a carpool, you will just need to set your home location on the map and the app would automatically connect you with team members who live in your vicinity and are open to carpool. Again, no long trail of messages, discussions and confusions. There’s more, you can synchronize your team schedule with the google calendar making overall day-management a breeze. And then there are reminders that really are like the cherry on top. Many parents have kids playing in more than one team. Imagine being able to see all your engagements and commitments together, on a single interface. Dorothy Harper, a single mother and youth sports parent, says, “InstaTeam combines my calendar, instant messaging, school app, payment app and social media into one easy interface”. “My life has become so much easier. I finally have a non-chaotic, well-managed schedule. My day is planned and there’s no room for surprises or slip-ups”, says Lumen Green, a mother of three sports kids. For a busy parent, InstaTeam streamlines and simplifies things like a personal aide working 24x7. “I used to be guilty of being engrossed in office work so much that I hardly got time to go through each and every text message or read the entire chain of emails to get the relevant message. With InstaTeam I check up on the information whenever I can. I am always up-to-date”, says Adam Bowman, a soccer player’s father. Another busy corporate executive, Samantha Hills, says, “whether I’m in a meeting or busy with clients, I can always catch up on relevant information. InstaTeam’s got my back”. I agreed,Really the best digital tool for helping parents engage effectually in their child’s youth sports program.